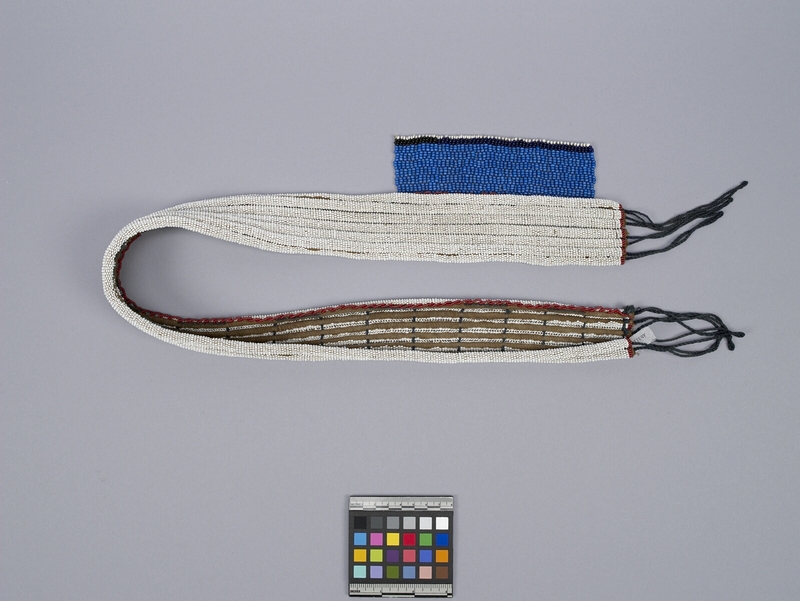 Item number Ab311 from the MOA: University of British Columbia. Seven rows of coils covered with white seed beads and row of red beads attached along one side. End of each coil is finished with red beads. To one side, there is a small rectangular attachment of blue beads with a band of black beads at the bottom. 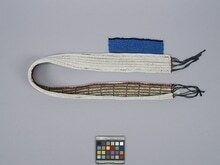 There are several looped fibre ties at the end of each side of the belt.